Tom Dodson was born in Salford, son of a labourer and eldest of five children. A typical working class Lancashire family in an age where hard times and humour often went hand in hand. As a schoolchild the young Thomas Dodson was always top of the class in drawing and could often be found filling the pavements around his backstreet Ordsall home with chalk drawings of the local characters. But the North of England was a hard place where poverty ruled and art was for the rich. The three R’s were more important, so the young Tom forgot about his pencils and paints and, at the tender age of 14, left school and started working in the grocery trade. He learned all there was to know, and more besides, before moving on to curing and rolling bacon. There were other jobs in industry and up to his retirement Tom spent several happy years as a school caretaker. After Tom retired he had time on his hands. Soon his quick sketches gave way to more serious works and it wasn’t long before Tom found himself in artistic demand. 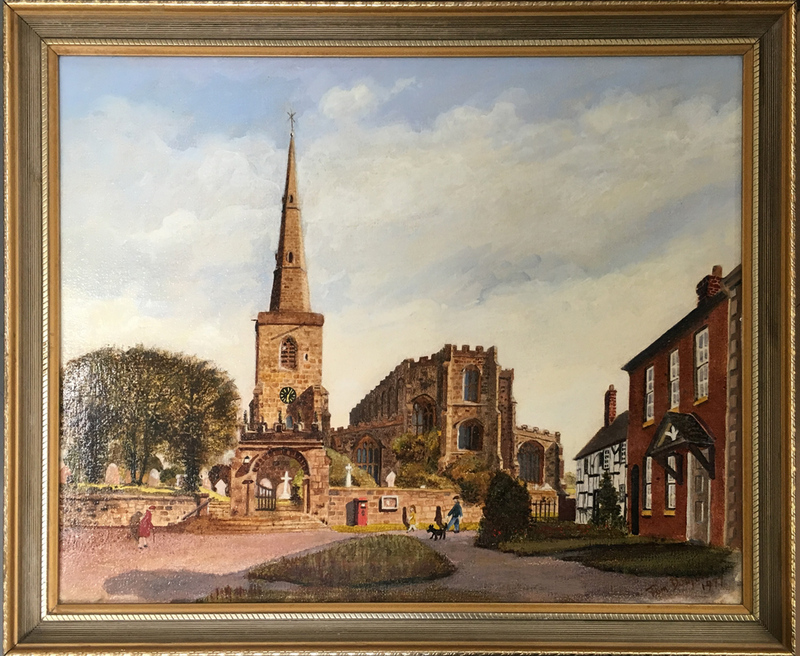 Tom Dodson could recall with great clarity the images of childhood; images of the classroom, the scrapes and games, the gas lit corner shop, pumping the organ at St. Clement’s Church, the rousing bands at the Whitsuntide walks and the gruelling five mile trek to work. So many images, impressions and memories. Tom Dodson didn’t ‘create’ a style, he didn’t have to. He painted naturally and his work is all the better for its lack of edge and affectation. 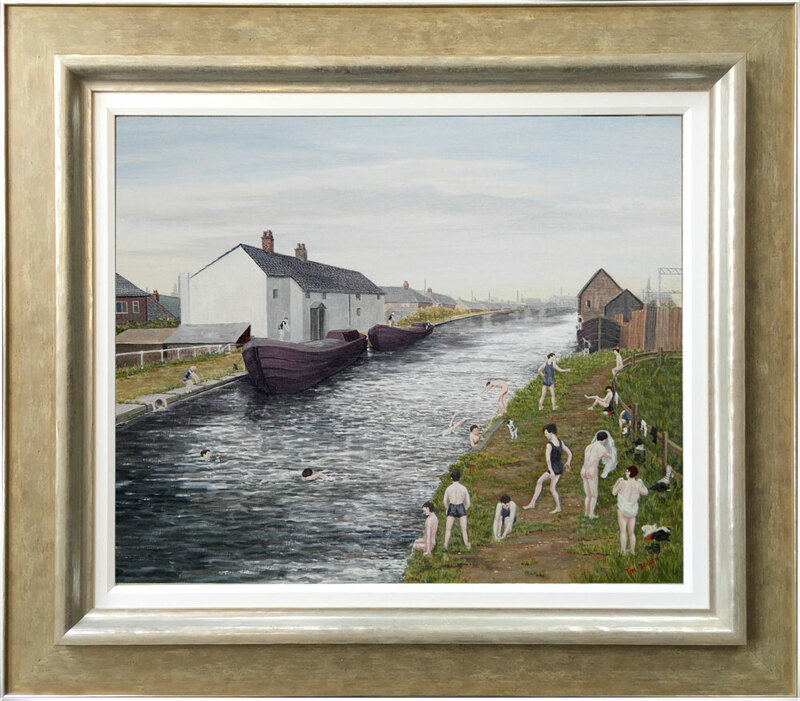 Tom Dodson’s Lancashire scenes of the 1920’s and 30’s are a world away from those of his contemporaries. Tom may paint a mill or fairground, a backyard or a Lancashire slop stone, but in each and every one is a simplicity and down to earth observation combined with a vibrant energy and humour. When Tom’s first exhibition was held all those years ago, every work was bought within hours. Tom Dodson had arrived and with glowing praise from the art critics. Since then the enthusiasm and demand for this Lancashire artist’s pictures and prints has grown, as has his reputation. Tom painted the things he knew best. He has won a ready place in the hearts of his admirers, and for those who were fortunate enough to meet him they found an ordinary man.